Home / Spam, is it worth it? The Internet changed marketing in general. That much is true. The incredible capabilities of the Internet as a marketing medium did not only change, but they improved the way marketing should be done. First of all, the people who are at the receiving end got their voice and they can now share their opinion of you publicly. This shows a greater insight into their opinion of your product or service and their assessment of its quality. You also receive greater insight into the successfulness of your marketing effort. All of this has forced out aggressive marketing methods that have no respect for the customer’s wishes. We can name all of these marketing methods as “Spam”. These marketing methods all have the same approach of forcing themselves upon people instead of trying to get their attention and leave them happy after a commercial or whatever form of marketing you choose. 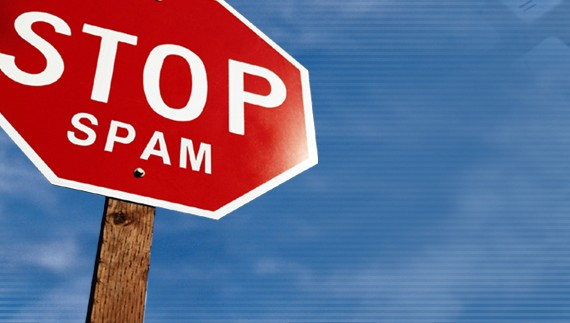 It is a generally know statistic that 97% of internet e-mail traffic is spam. Can you imagine that? So there is this tremendous effort to produce spam and a lot of money is invested in that marketing method and E-mail spamming isn’t the only way it is spread all around the web. There is also social network spamming, YouTube spamming and so on and so forth, but the ironic thing is that spam has a very ineffective and utterly annoying and as soon as you get identified as spam or a spammer you lose your identity. You have no name, your company has no name – you just become spam. The only thing your company’s name will be related to is extreme annoyance, due to constant harassment. There is a certain percentage of people who have forsaken using the Internet because of spam. The fact that you are annoying people with your offer basically means that you are paying to annoy and push your customers away. I mean, do you check you spam e-mails and read them and then from time to time go: ”Hmm, these guys have a good offer, I’m going to buy this”. No, of course not – nobody does this, they just ignore it because it is spam. Marketing on the web has surpassed this relic of the past in internet years. There was a time when you could use this kind of marketing method but then at some point everybody started using it and people are just fed up with it. These days, permission based marketing is the most successful way of promotion on the web through e-mails for example. It takes a completely different approach. This method actually states the benefits of getting marketing material, which is usually useful information, discount coupons, discount notifications or some other form of entertaining or financially beneficial thing and it tries to attract customers to you instead of making them run away. Making marketing material useful is actually what makes people want to get it. That is why they subscribe and you get their permission to send them promotional material. By treating the general public as your target audience, you are supposed to entertain and that way, you can get much better results. Funny, inspiring, artistic videos can easily go viral, providing you with a very wide audience. While the audience is entertained and their attention is drawn, you discretely mention your company and that’s it. Everybody is happy. Through this more respectful approach, you will get positive results and on top of it all, you won’t spoil your reputation. There are programs internet users can use to protect themselves from spam in any form. For pop-ups we have the adblocker, for social networks, we have the report system and the hide option, for emails we have the junk folder and the spam filter or block option. So, actually this form of marketing has an active enemy within the population. This isn’t the case with any other forms of marketing. So, you are in many cases actually trying to break through someone’s efforts to prevent your advertising material from reaching them – the audience is actually hiding from you behind these programs. When and if you break through, do you actually think that these people will want to do business with you? Direct Mail: Is it as Dead as the Dodo? Ivan Dimitrijevic is a seasoned blogger and SEO consultant with years of experience. His set of skills includes Social Media Marketing, Search Engine Optimization and blogging on a wide variety of topics. He has had many articles published on serious blogs over the years, on topics ranging from SEO, Google and Online Marketing to Web Design, Business Strategies and Inbound Marketing. His approach is direct, personal, professional and he will strive to use 100% of his knowledge and apply it to each and every project.